“The best way for me to describe my experience without writing pages and pages would be to say that the power and strength of Ayahausca is in full sight just by the taste alone. A dark textured brew that covered every inch of my tongue and united my taste buds. My journey spiraled into oblivion until I entered the magical gates of a vast temple of the ethereal life. My tour guide was the dialogue of my left and right brain, an angel and Ayahausca. I’m still putting many pieces together but the ability to travel so far into my mind and other dimensions was made so much easier by the support of total strangers also in need of support. I never would have thought that the 15 of us piling onto a bus seeking the same destination would be enough for us to be connected for life. “The ceremony and entire experience has completely changed my life! Never have I felt more at home with a group of ‘strangers’ (for lack of a better term) in a place that I have never visited. Before this, I was a complete introvert living a fear-based life and holding on to so much emotional baggage. I was scared to interact with people in general, let alone share all of my emotions and feelings. Since this experience, I’m functioning at optimal levels every day. I don’t get stressed out. My mind has also slowed down so much that I feel as if I’m actually living my life for the first time in 34 years! All of this with an even greater connection to mother nature too! It’s unbelievable! “Amber! Thank you for the enlightenment you share with us by simply living it. I know this has awoken something in me … Until this day I feel a sense of completeness. I have no fear. I trust life and I trust myself. I finally feel a sense of peace within my mind. I’ve created a silence within myself where there’s no thoughts coming through, only the feeling of Being much more present in the moment. There’s a calmness that I’ve been yearning for a long time. I laugh out loud by having this “sense” of knowing deep in my heart. 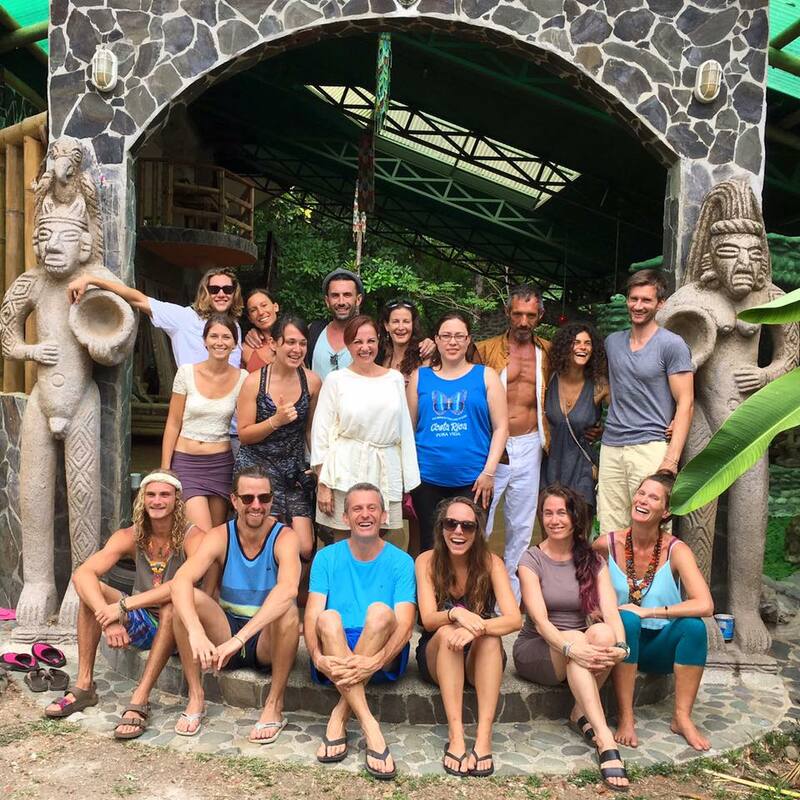 “Honestly, if I had only experienced the ayahuasca without meeting and loving EVERY one of you and the rest of the beautiful people I had the joy of meeting thanks to Epic Self… I would have been a little let down. I hate to say it but it’s true. I had a very intense and odd experience with ayahuasca. My expectations and desire paired with the result left me feeling a little… lost. Kinda funny because that was the feeling I had during the ceremony. That being said, my feeling this way is in no way a result of the work put forth by Epic Self. “My first time taking Ayahuasca was the most profound experience I’ve ever had using plant medicine. 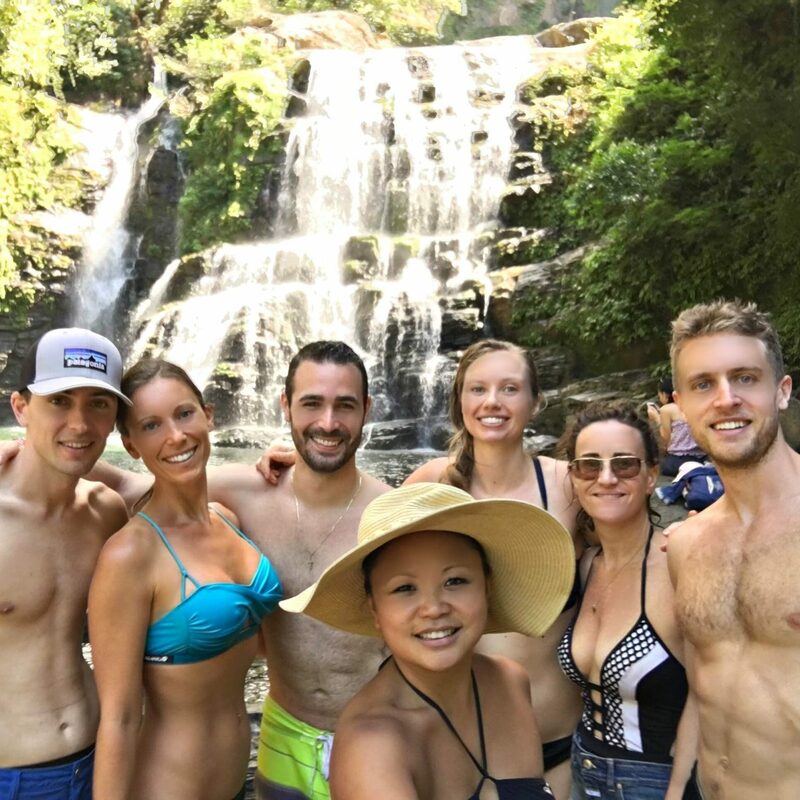 Set amongst the exquisitely beautiful Costa Rican jungles, I endured the intense purging of past and welcomed the clarity of newfound space. It wrings you out like a towel. Our group was intrinsically powerful and connected, which only manifested further in ceremony. Not only are you hyper aware of their energies, but also are reaffirmed of the unified consciousness that threads all of us together. “Being my first experience with Ayahuasca I was unsure of what to expect, but Amber and Daniel’s diligence and keen oversight set stage for a smooth, safe and transformational journey. The moment after ingesting the dark brown liquid I could feel a warmth exploring my gut and extremities. It was as though Ayahuasca was assessing the work that need to take place. Once the medicine took hold I let myself fall into full surrender and was lead through an exhaustive liberation from a lifetime of emotional baggage. After the final purge I was enveloped by a secure chrysalis. I formed an unspoken bond with each and everyone of the participants for we had all seen what it meant to be truly connected in the hands of this Earth. When I emerged from my cocoon I was filled with sensations of crystal clarity, joy and childish euphoria. Ayahuasca is a truly plant teacher. “It’s truly amazing what this plant medicine can do! In one ceremony, my perspective on life has completely changed and I feel more alive than ever. “Amber’s words ‘show up no matter what’ served me well. It was a very busy engaging month, and sometimes I didn’t want to, but she taught me to show up, and show up, that I could do more than I thought. I’ve been doing yoga for 20 years, and Amber’s yoga/pilates classes were perhaps the best I’ve ever done. “When I first heard about the opportunity to take part in an Ayahuasca ceremony, I immediately dismissed the opportunity. I was fearful of taking a “drug” and fearful of what my experience would be if I did. But I was curious and so I researched for weeks, reading about people’s experiences and the science behind the medicine. What I found was that the list of benefits was incredibly long and the list of risks was virtually non-existent. I was still apprehensive however, and had a list of about 50 questions for Amber and Daniel, who took the time to answer all of them. After much thought, I felt a calling to attend a two night ceremony at Posada. The experience of the ceremony feels impossible to justifiably explain with words but I’m incredibly grateful for the experience I had. Ayahuasca is definitely not a “drug” but a medicine that truly can change your life for the better. This incredible medicine allowed me to see parts of myself that needed to be seen, to feel a connection with the Universe that I needed to feel and for the first time maybe ever, love myself unconditionally. These moments of profound connection will stay with me forever. It’s true that afterwards you will slowly slip away from the intensely powerful feelings that you experience during the actual ceremony but much of what you felt and saw will deeply resonate in your everyday life. I have noticed that when I find myself drifting toward negative thoughts, I can use my experience with the medicine as a gentle reminder to reconnect to myself and the universe. “If you feel the calling to work with sacred plant medicine please go. You will not regret it! In my experience, the Epic Awakening Retreat was an immense blessing. The buildup, visiting a new country, and most importantly the people that I met; The Epic Light Warriors, was awesome. 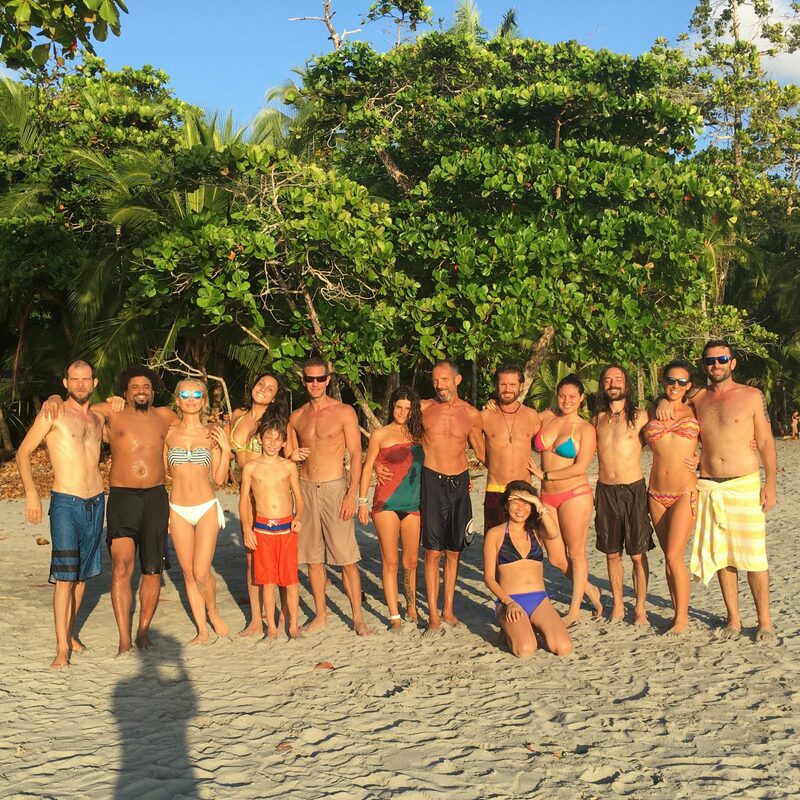 It’s very rare to have such a deep connection with a group of people, like I experienced in Costa Rica. The retreat was a deeply transformative and nourishing experience. My intention was to hit the reset button. I feel I have, but beyond that discovered how precious life is. How fragile, but also limitless we all are. “The Epic Awakening retreat comes exactly as advertised. For anyone experiencing the phenomenon of awakening consciousness, this is the most epic place to get away and allow yourself to embrace the light within. For me, this retreat completely reshaped my ideas of my Self, the world, and gave me a complete understanding of my own universal Oneness. Amber and Daniel are two of the the coolest, most well informed, and good hearted humans that I’ve ever had the pleasure of experiencing. Amber will completely awaken you to your body. Her yoga and myofascial release classes will show you just how much you need your body to feel awesome all the time. She will give you insight on how to best maintain yourself that will literally change the way you live your life. Daniel is a spiritual gangster. He is the perfect balance between a lighthearted, carefree soul, and a powerful light warrior with reckless disregard for negativity and self-sabotage. Together, these two are a powerful team, doing their part to change the world one retreat at a time. This retreat has given me new purpose, renewed faith, and a complete confidence in the goodness of humanity. 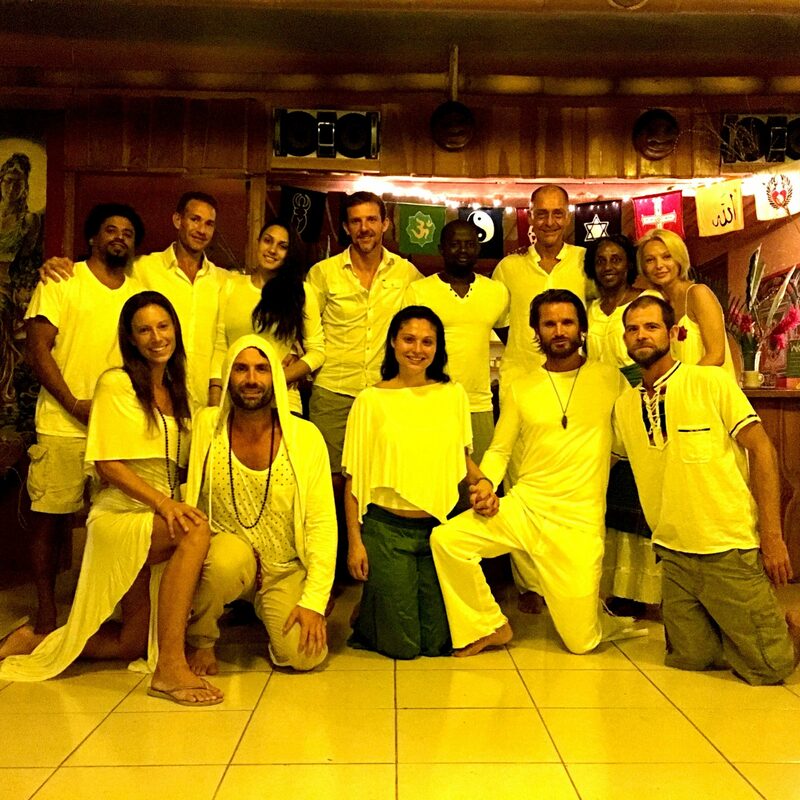 “The Epic Awakening Retreat was beyond anything I could have ever imagined!! It was the MOST transformative, enlightening and inspiring experience I have been through to date and taught me more about myself than I was prepared for. It brought me to my knees, offering new heights of understanding, empathy, awareness and deliverance in ways I have been craving all my life and I am so deeply honored and grateful to be given the uniquely rare opportunity to partake fully in the magic that was created through the deep and riveting connections that were made during this profoundly loving and eye opening experience!! All the while, being able to pursue our own individual journeys, embarking into the deepest parts of our beings in ways that brought us to points of realization that we all needed was indeed, truly remarkable. Coming away from it feeling completely renewed, recharged, revitalized and reconnected, I would highly recommend this retreat for anyone looking to dive deeper into themselves so they may BE their healthiest, happiest and truest version, so they may be fully equipped to take on anything this world might need in order to harmonize and heal. “The Epic Awakening Retreat changed my life in so many ways. I was just entering into a transition with my job, location, and my inner journey when I felt the calling to go. If you are feeling this same calling, please follow that guidance. There is no better way (in my opinion) to heal than in the environment of this retreat. Every aspect of my being – mind, body, soul – was rejuvenated and surrounded by love. I made lasting friendships and memories, gained a deeper understanding of my Self and the collective, and was able to step further into sacred self love, healing & authenticity. My body was rebooted, my mind became more clear & my heart was expanded to a level I’ve never felt before. Leaving the retreat I felt more supported and capable than ever to pursue my next adventure and to use what I’ve learned to make the world a better place. Since then I’ve been able to maintain a healthy lifestyle without difficulty and my outer world has aligned with the gratitude and abundance that was cultivated at the retreat.